Almost all institutions involved in the Royal Commission are offering verbal and written apologies to survivors of historical child abuse. It has become ‘standard practice’ where both parties are legally represented but agree to settle the issues by mediation rather than going to court. 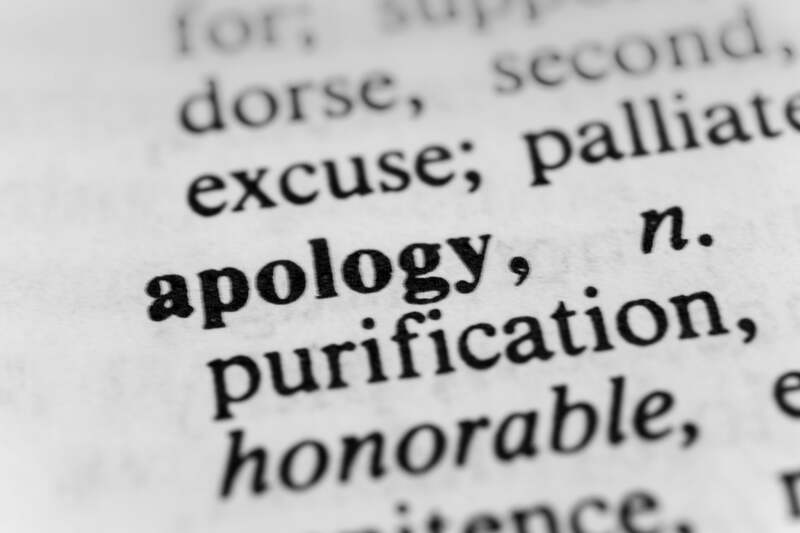 Whether it’s the Christian Brothers, the State of New South Wales, the Newcastle Anglican Diocese, The Salvation Army, The Sisters of Mercy or another institution, they all want to apologise to my clients. Most people will accept a face to face apology from a senior representative. Most people will also accept a letter of apology signed in front of them by the person delivering the verbal apology. Today’s practices are a far cry from the devastating negligence so many others experienced just a few years ago. We have all come a long way. I remember when I appeared at the Case Study 7 public hearing of the Royal Commission in Sydney. My client had received an apology at a facilitation meeting of the Catholic Church’s ‘Towards Healing’ process. The meeting took place in the Brisbane CBD. I flew up to Brisbane from Newcastle. The insurance lawyer from Catholic Church Insurance flew up from Melbourne. But the Bishop of Lismore – who had to deliver the apology – bailed on the meeting at the last minute. Instead of meeting with the survivor and her family in Brisbane, he elected to give communion to children at a local Catholic school. The bishop sent his church’s treasurer to the Brisbane meeting instead. The treasurer wore a ski jumper and jeans. It was a pathetic act of weakness. The no-show demonstrated a severe lack of respect for the victim and her experiences. It was embarrassing for the bishop when he was asked later on to explain his absence in front of the Royal Commission. The Catholic Bishop of Lismore learned a lesson. Delivering a sincere and personal apology to a victim is immeasurably important. The head representative of the institution involved needs to take responsibility of this moment. The apology can’t simply be delegated to an underling or minion just because it is inconvenient. Years of trauma, pain and suffering have been inflicted on victims of institutional child sexual abuse. A genuine apology delivered by the institution involved is one of the few actions that can make a positive on the victim’s recovery process. The Royal Commission has discussed written apologies publicly. Commissioners have criticised the practice of institutions allowing lawyers to draft a precedent apology. These letters would be rehashed numerous times with only the victim’s name changed along with a few other variables. There are horror stories of letters of apology being posted in the mail to the wrong person or some even referring to the wrong victim within the document. Can you imagine how it would feel to receive one of these baseless so-called ‘apologies’? You would feel diminished, reduced to a mere number of the many abused by these horrific institutions. Nowadays, letters should be personalised for each victim. Good letters refer to the specific childhood abuse suffered and the victim’s major life events and struggles. A victim has to feel the institution knows their story and understands the lifelong impact of the abuse. When you apologise you only have one chance to get it right. Apologies are serious matters. A proper apology will help aid the victim’s healing and set the right tone for a respectful financial settlement at the mediation. What the victim does with their apology is their business. The victim can choose whether to accept or reject the apology. I counsel all my clients to graciously accept an apology. Often, accepting the apology can help the victim let go of some bitterness. You can choose to continue holding onto bitterness throughout life or you can choose to consciously let go and let it drift away into the distance. I also counsel clients on what to do with their letter of apology. The mind is a very powerful thing and we’re all different. What works to help heal one person may not help another. Some clients go home and have a ritual burning of the apology letter in the backyard. They sometimes like to burn their old child welfare file too. It’s good to burn these symbolic documents at night and watch the ashes float up into the night sky, higher and higher like the old life is leaving, never to return. These victims use this ritual as a milestone to show to themselves they will never be controlled by their abuser again. I have heard of one victim who settled his case against the church, then burned the little black Bible the abusive priest had presented at his first communion. Everyone understood the feeling behind this ritual. Another client had his letter framed along with a group photo taken with the bishop who took a three-hour flight to be there. All institutions should take steps to deliver a meaningful and sincere apology to their victims, whether they’ve asked for it or not. They should take steps to make sure such horrors never occur again and take ownership for the damage they caused. Every victim of abuse deserves an apology. They deserve to have their pain and tragedy acknowledged. Every victim deserves the chance to have their story told. Every victim deserves an opportunity to heal, and the choice to forgive. Do you have an apology story or personal healing ritual you might like to tell me about? Please message me on Facebook or email me. I’d love to hear from you.